I’ve been eating apples so I thought I should make a theme based on the apple color scheme. 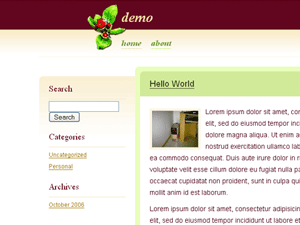 Apple is a three-column, left sidebar WordPress theme. As you can see, I love it, so much that I’m using it for my own website.